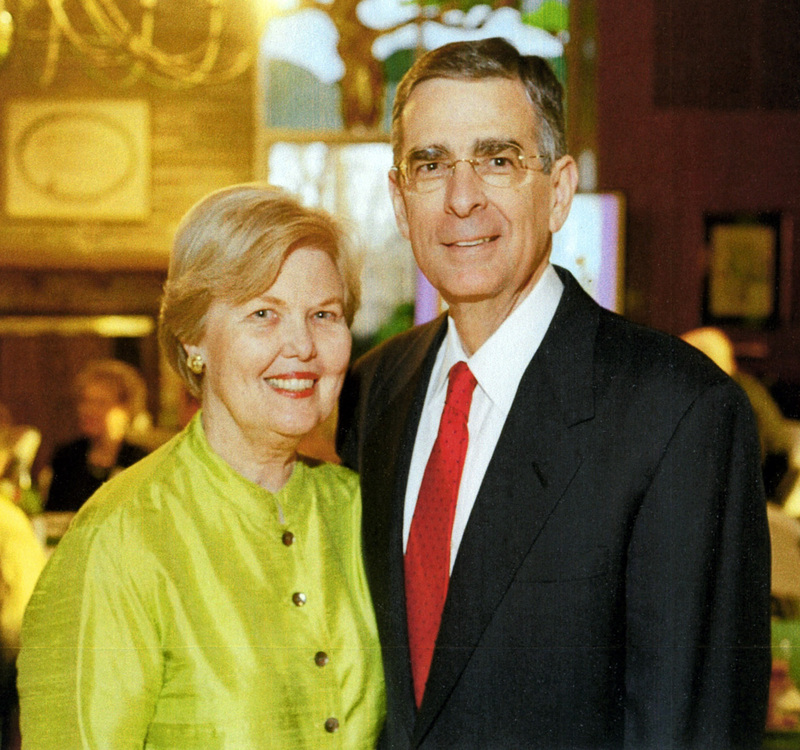 George and Phyllis Dotson are two of Tulsa’s most admired and effective leaders. A native Oklahoman, George S. Dotson graduated from M.I.T. in 1962, served in the Army as a Captain in Germany and Vietnam, and completed his education by receiving an M.B.A. from Harvard. In 1970, Dotson began what would become a 37 year career with Helmerich & Payne in Tulsa. He would become president of Helmerich & Payne International Drilling Co., and vice president and a director of Helmerich & Payne, Inc. He is on the Executive Committee of the International Association of Drilling Contractors and received its 1998 Contractor of the Year Award. George also dedicates time and talent to public service. He serves as a trustee for St. Simeon’s Episcopal Home and the home’s Foundation, is a member of Tulsa YPO and the Advisory Board of the Tulsa Mental Health Association. George and Phyllis Dotson were married in 1963. They have a daughter and two sons, one of whom is deceased, and four grandchildren. Phyllis N. Dotson was born in Salem, MA and attended schools there, graduating from Simmons College in Boston with a B.S., R.N. degree in Nursing. Phyllis’s community service reaches out to health, education, the arts, and more. She serves as a trustee of the Saint Simeon’s Episcopal Home Foundation and the Philbrook Museum of Art and is on the advisory boards of the Tulsa Ronald McDonald House, Mental Health Association, Domestic Violence Intervention Services, Crosstown Learning Center, and the Assistance League of Tulsa. She also serves on the board of the Juliette Low society and the Resonance Open Door Society, is a member of Junior League of Tulsa, and a lifetime member of St. John’s Medical Center Auxiliary and Saint Simeon’s Volunteer Auxiliary. Her work has been honored by the Mental Health Association, Women in Communications, Simmons College, and the Tulsa Chapter of the National Society of Fund Raising Executives. The Dotsons prove how a dynamic couple can benefit their community by working individually or together. They co-chaired the recent St. Simeon’s Capital Campaign for more than $23,000,000 and both have served the Vestry St. John’s Episcopal Church. George and Phyllis Dotson show how marriage can produce teamwork that extends far beyond even a loving family.